Huawei is working on a new smartphone camera system that will be able to take three-dimensional photographs, according to the latest whispers from inside the company. These 3D images can be imported into augmented-reality apps to interact with people and objects in real-time, sources say. 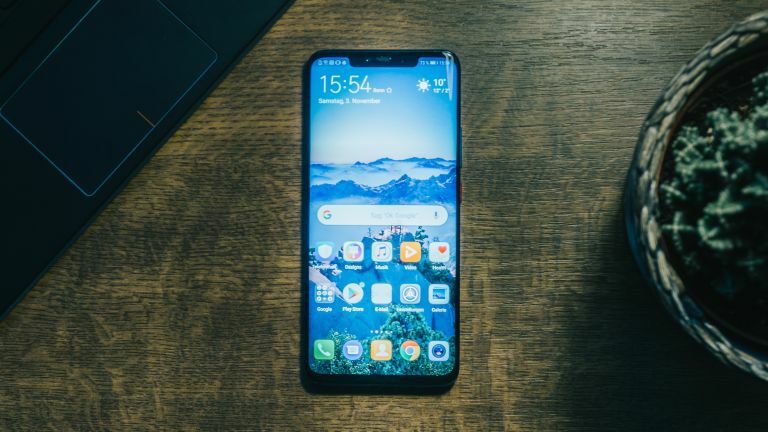 Huawei hopes the new style of photography will help its products stand-out from its closest rivals, like Apple has done with its emphasis on its proprietary Live Photos format that includes a short snippet of video from immediately before and after the shutter button was pressed. The new camera system, codenamed Princeton inside the Shenzhen-based company, will purportedly be announced later this month and go on-sale within a few weeks. That suggests it will not debut with the flagship P30 Pro scheduled to launch in early 2019, but the Nova 4 due to be unveiled on December 17, 2018. The technology purportedly uses sensors developed by Sony to accurately measure distances by bouncing light off surfaces, Bloomberg reports. This depth information is used to create three-dimensional stills of people and places. However, the depth information gathered by the camera can also be used to control apps and games in interesting new ways, like waving your hands in-front of the camera to interact with digital elements on-screen, according to people familiar with the new system. Developers will need to specifically implement these gestures into their apps for use on handsets with the depth-sensing 3D camera. According to sources, the new system – likely to branded as "3D Camera" when it launches later this month – will probably feature in more than one Huawei phone, including some models slated for later in 2019. However, plans could change based on the reaction to the system, sources said. Huawei hopes the advanced three-dimensional images will be an important differentiator between itself and rival firms, including Samsung and Apple. The latter has increasingly focused on Augmented Reality with its latest smartphones, most recently by allowing iPhone owners to overlay a cartoon recreation of their likeness, dubbed MeMoji, over their actual face in FaceTime video calls and still images. Meanwhile, for Sony, the world leader in production of smartphone image sensors, 3D camera set-ups could could generate billions in additional revenue, thanks to the additional components needed for the systems. The Japanese company accelerated development of these three-dimensional shooters after the purchase of a start-up – Softkinetic – back in 2015. Unlike the relatively short-range depth-sensing capabilities of the Face ID facial recognition system in the iPhone X, XS, XS Max, XR and the latest generation iPad Pro, Sony can gauge depth at much longer distances. This is what will allow manufacturers like Huawei to use the system in the rear-mounted camera. While Sony has allowed Xperia phone owners to shoot 3D models to use in video games and other augmented-reality apps, the technology was not powered by its latest sensor system, according sources speaking to Bloomberg.